Truesdale Lake is a man-made lake. For most natural lakes in New York State, the lake bottom is owned by the state. This is not the case for Lake Truesdale. 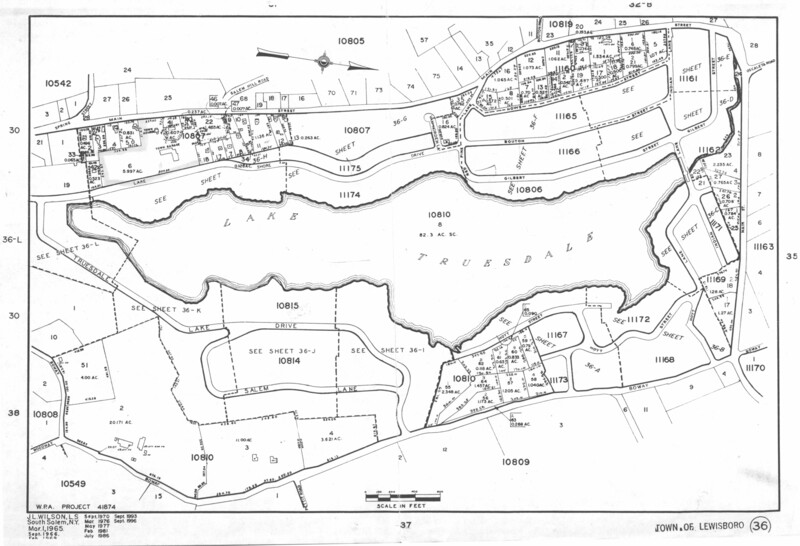 Since it was originally farmland prior to the damming of the lake, the land on the lake bottom is wholly owned by the Truesdale Estates Association (TEA), one of the lake associations. The TEA pays school, fire, and county taxes on the property for the lake bottom and the islands (see Tax Map 36 to right ). Since the lake bottom is privately owned, the owner — TEA — has the right to regulate docks and other structures built over and encroaching onto its property. For waterfront properties, docks are the structure most often requiring approval. The article below is divided into several sections about docks on Truesdale Lake. Anyone interested in building a dock on Truesdale Lake should read through it before designing their dock. TEA has partnered with TLPOA and the lakewide Truesdale Lake Management Committee (TLMC) – including representatives from other lakefront property owners – to form a Truesdale Lake Dock Committee (TLDC) to review applications for dock construction and repair. The committee has determined a Reasonable Use Criteria for Building and Maintaining a Dock on Truesdale Lake. This will ensure that all docks — new construction and repairs — are kept in character with the lake community and protect the lake environment. The specific rules are covered on the Dock Reasonable Use Criteria page. Below are our guiding principles for building docks on Truesdale Lake. Specific rules are covered on the Dock Reasonable Use Criteria page. The dock committee members have years of experience with their own and neighbors’ docks and can potentially provide time and money saving advice for both first-time and long-time waterfront owners. If you have questions, please send a note to truesdaledock@gmail.com and we will get back to you promptly. Please refer to the Town of Lewisboro building department and wetlands inspector for specific information on their permits and costs. The primary driving force behind the guidelines is being a good neighbor, supporting the lake, and following the Town of Lewisboro Code. To that end, all homeowners who wish to construct, renovate, or repair a dock are required to follow the Dock Reasonable Use Criteria and submit a Dock Application to the TLDC. If you do not have ALL of the items outlined in the dock reasonable use criteria, your application will not be approved. 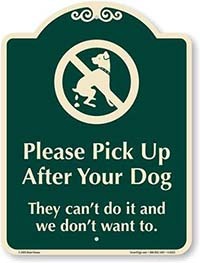 We want to balance the applicant’s enjoyment of the lake with their neighbor’s enjoyment of the same. Set back requirements, limits on dock dimensions, septic, and other maintenance requirements will help maintain privacy and health for neighbors with docks. New homeowners should also read these lake resolutions – ten commonsense items that all lake watershed homeowners should know and practice. Gangway or ‘bridge‘ – decking going from land to floating dock not needing its own floatation (extra floatation sometimes needed under the ‘finger’ section the gangway is attached to). Platform – (optional section) end of dock either in “L” configuration or “T” configuration at far end of or next to finger sections. top elevation and side elevation of dock plan (showing positioning of floatation billets), total dimensions of dock including distance over lake, shore pilings (anchoring the gangway section), and water anchorage (with chain lengths and anchor method, see sample anchoring diagram lower down this page). This scale drawing should be overlaid on your property survey map which includes your property lines. (See diagrams on Dock Reasonable Use Criteria page for examples.). Any existing structures (shed, existing dock, house, garage, boat rack, etc.) should be noted on the drawing for reference and scale. The drawing need not be professionally done unless the building department requires it (see their page on the town website for more information about their requirements). The scale must be accurate — the committee will ask for resubmission if it cannot determine accurate dimensions or scale. In some cases the committee might request a site visit. In many cases the committee will be able to determine all needed information from the application and viewing the property from the lake vantage. All dock applications are reviewed by the TLDC on an individual basis. There is no ‘one size fits all’ plan for docks on Truesdale Lake – each must be considered in its context on the specific waterfront, taking into account the unique setbacks of each property and their neighboring properties. Property line setback, dock dimensions, and other limits are very specific and are outlined on the Dock Reasonable Use Criteria page. No permanent pilings or other supports are allowed on the lake bottom. Pilings and supports are permitted only on the homeowner’s shoreline (dry land) and must be a minimum of 3 feet inside property line. Docks must be floating types only. No suspended docks as they require pilings driven into the lake bottom (TEA property). Flotation must be closed plastic billets. Underwater anchors and chains are permitted to secure dock in place. Best anchors are tire anchors (rubber tire filled with cement with chain embedded – see image to right) since they do not have sharp edges where bare feet are potentially standing. Anchors cannot be metal as metal rusts and will become a lake bottom hazard. No metal floatation billets/barrels as they will rust and create a hazard for feet walking on the lake bottom when they deteriorate. Docks should not be placed where they would interfere with water flows in and out of the lake. Docks should not be placed where they would interfere with another property’s access in and out of the lake. Free floating docks (i.e. unattached swim platforms) are only allowed for associations via their waterfront properties. These special purpose docks must be in front of the association’s property but are allowed further out in the lake than otherwise permitted by setback rules due to the community nature of the swim dock. Swim docks must be cleaned regularly and be taken to shore in the off-season. If dock or other conditions are not maintained, the permission will be revoked which would require the dock to be disassembled and removed from the lake. This is a condition of granting the permission. Many neighbors around Lake Truesdale have experience building and maintaining docks. They are an invaluable resource if you have questions or want to know where to start. Ask a neighbor if they have information or know someone knowledgeable about docks on the lake. It could save you a lot of money and time. We highly recommend reading “The Dock Manual: Designing/Building/Maintaining” by Max Burns. Focus on the Floating Dock chapter. Available at Amazon or Barnes & Noble online. Several of your neighbors also have copies and might let you borrow it if you promise to return it when finished. Ask around. Try to make your dock as light as possible and minimize contact with the water. Ideally, the floatation billets should be the only parts in the water most of the time when dock is not loaded. The less contact the decking and main dock structure has with the water, the better. This is especially true in the winter with ice which can bend, warp, and rip apart docks over those cold windy months. Docks on Lake Truesdale should not need excessive “freeboard” – the height of the dock on top of the water. 12-18 inches should be more than enough since we don’t have large boats on the lake that would require taller docks. Anything too tall is a waste of materials and money and will be higher to climb onto for swimmers.